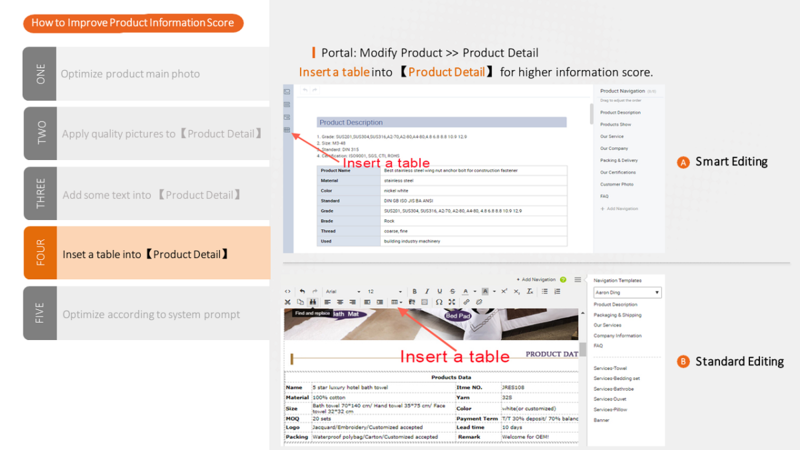 Product information score is one of the important factors in search ranking algorithm. Products and supplier with higher score will be more likely to gain more exposure prior to those low quality ones due to higher ranking. Group by the overall product information score, the average exposure gold supplier can gain in 30 days. Date: September 30th 2018. At present, your product information score is much lower than the global average, which may affect your product ranking and traffic. 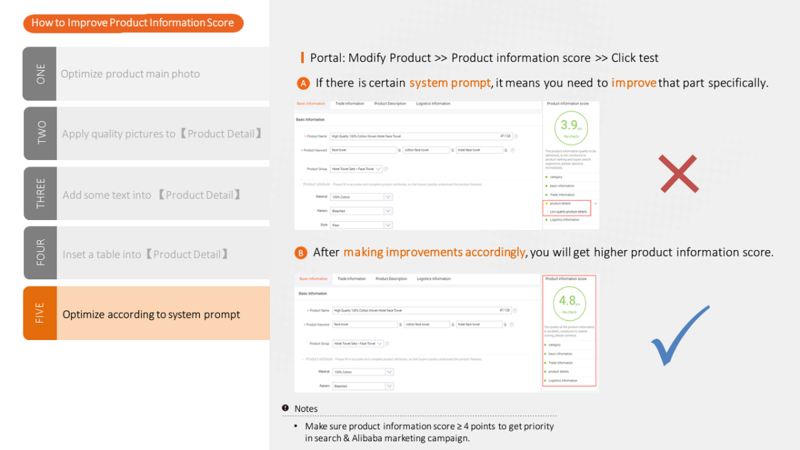 Check out the instruction below and optimize your products to improve your score now!